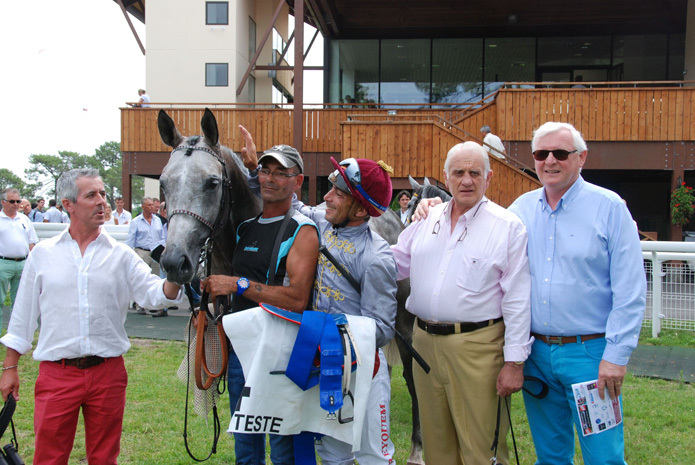 On the 19th of July the season’s first two Group 3 PA races for three-year-olds took place at La Teste de Buch. Both races were sponsored by Shadwell and while the three-year-old fillies’ race was run over 1800 meters, the three-year-old colt’s race was run over 1900 meters. 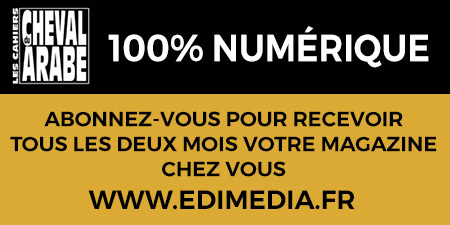 The prize-money for both events was 20 000 Euros. The Group 3 PA Prix Shadwell-Tidjani was won by Beune de l’Ardus, a son of Akbar and Neva de l’Ardus, ridden by the apprentice Cedric Mohli who recorded his second victory with this colt. They had previously lifted the Prix Quitaine at Toulouse in June. 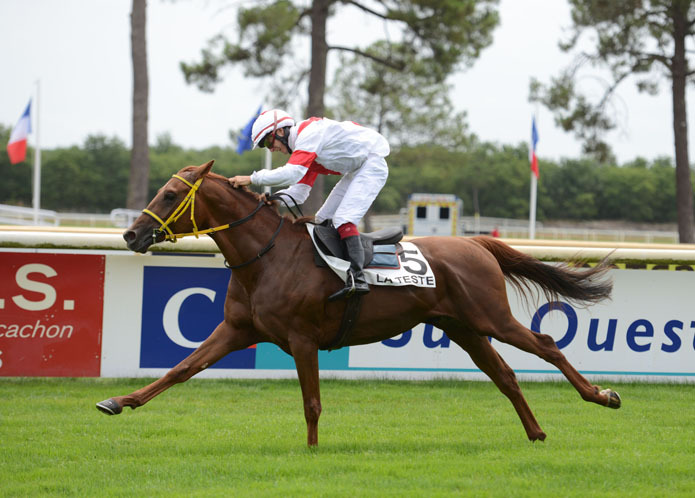 Beune de l’Ardus was bred by Philippe Meunier and is trained by Jean-Luc Gaillard. In the fillies’ race, Bint Jakkarta (AF Albahar x Jakkarta), bred in Qatar by Mr. Al Naemi and trained by Thomas Fourcy proved the most effective over the 1800 meter trip. She was ridden by Vincent Cheminaud and is owned by Mrs Nada Mousalli. It was her second start following a third place in the Prix Fedora at Toulouse on her debut last May. The meeting had started with a race for four-year-old and older Purebred Arabians. 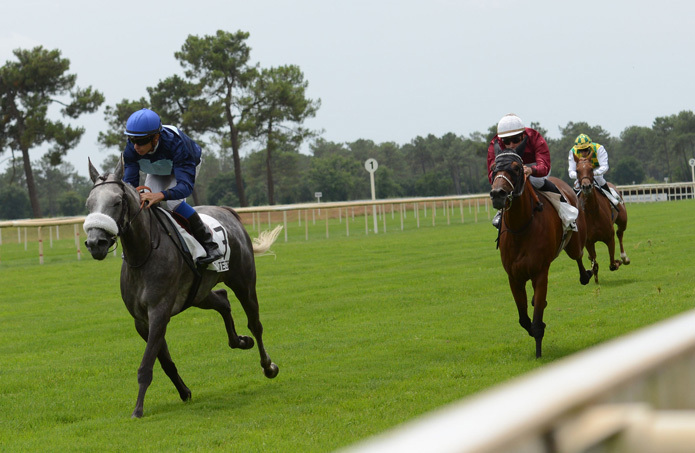 Run over 1400 meters with prize-money of 12 000 Euros, the Prix de l’AFAC had attracted six runners, including Dahor de Brugere ( Dahess x Dormadora) who hadn’t been seen on a racecourse in two years. It was a successful return to the competition though as Jean-Bernard Eyquem guided him to victory, which means he remains unbeaten in his career. Bred by Nathalie Barsi, Dahor de Brugere is trained by Jean-François Bernard and was sporting the Al Shaqab Racing colours.